The Qashqai has mainly been sold in the European market until this year. Since its 2006 debut, Nissan has sold 2.5 million units of the Qashqai worldwide; two million of those were sold in Europe. The 2017 Nissan Qashqai, the automaker’s new sub-compact SUV, will arrive in June and start at $21,748, destination fee included. It’s Nissan’s sixth SUV offering in the hot and ever growing Canadian utility-vehicle segment. The Qashqai slots just below the Nissan Rogue in the automaker’s SUV lineup, which also includes the smaller Juke and larger Murano, Pathfinder and Armada. The Qashqai is available in four trim levels, three of them have the option of all-wheel drive. The top-end SL AWD Platinum Package is priced at $33,948, destination fee included. The Qashqai shares a lot of the design, utility and technology that have made Rogue Nissan's best-selling vehicle in Canada. To combat cold Canadian winters, heated front seats will be standard on the Qashqai. Remote start and a heated steering wheel are available options. Some other standard equipment also includes a rearview camera and vehicle dynamic control, designed to assist a driver while braking. 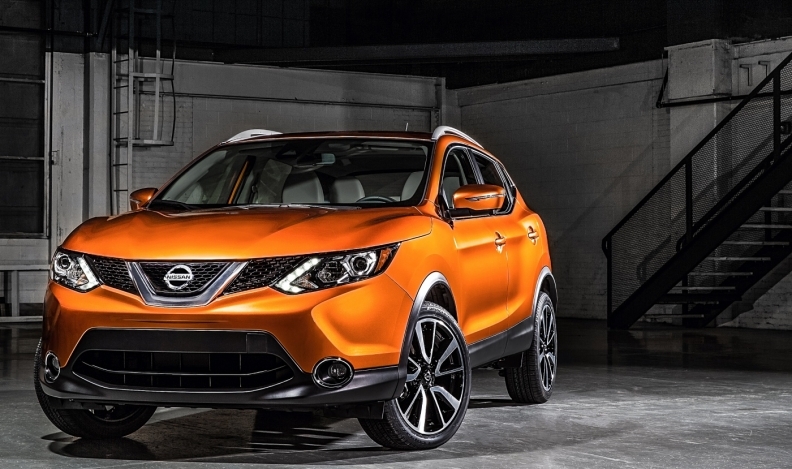 Nissan says it is targeting “youthful couples and singles” with the Qashqai. The automaker says younger buyers “are looking for more space than a compact sedan, while still seeking the maneuverability” of an SUV. The Qashqai has mainly been sold in the European market until this year. Since its 2006 debut, Nissan has sold 2.5 million units of the Qashqai worldwide; two million of those were sold in Europe. To maximize economies of scale, Nissan said it would also sell the Qashqai in the United States, where it will be called the Rogue Sport. In Europe, the Qashqai is available with either gasoline or diesel powertrains, with a 1.2- or 2.0-litre engine. In Europe, it’s available with a CVT or a six-speed manual transmission. The Canadian version comes with a 2.0-litre, four-cylinder engine.